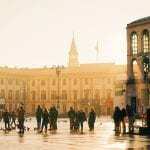 Looking for the best hostels in Venice? 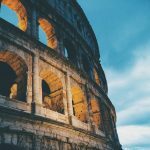 Being one of the most popular destinations in Italy means that there are many Venice hostels catering to all sorts of travelers. However not all Venice hotels are created equal. 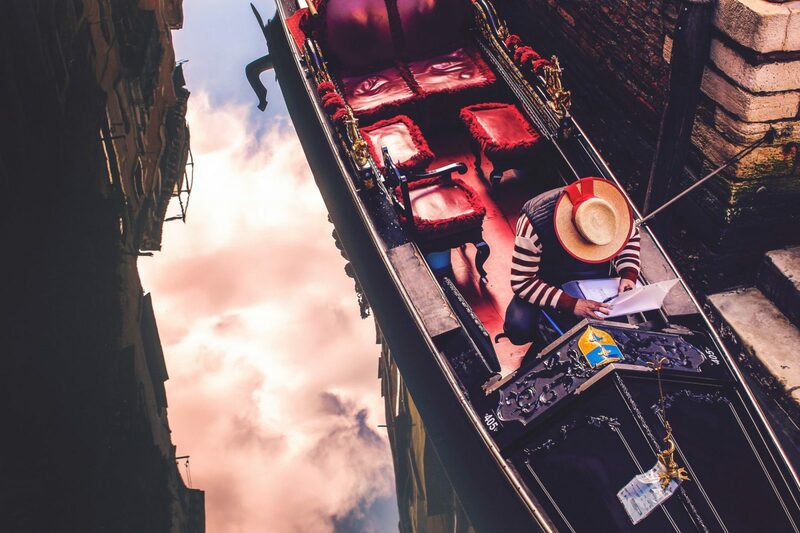 We’re here to help you pick the very best Venice hostel to make your visit to the City of Canals unforgettable. As one of the top tourist destinations in Europe, Venice’s allure lies in its picturesque beauty, the miraculous way in which its architecture rises above the water and canals, and of course the rich history and culture that is an integral part of any Italian city. Venice is comprised of over a hundred small islands that rise up from a lagoon in the Adriatic Sea, and in this city canals replace roads. The Renaissance and Gothic architecture, gondolas gliding silently down the canals, and cobbled streets give Venice a dreamlike quality. Leaving the train station is like stepping into a fairy tale. It’s truly a one of a kind place that you have to visit at least once in your life! However, visiting Venice on a budget can seem like an impossible task. The price of the simplest things, like a cup of coffee, in Venice can seem over-the-top and leave you scratching your head and clutching your wallet. It’s important to recognize that this is a city which thrives off tourism. This means that you have to get in quick, and know exactly what you’re looking for, and booking a hostel in Venice well in advance is highly recommended. With that in mind we’ve compiled a list of 6 budget accommodation options to make finding one of the best hostels in Venice much easier. We have put together this list based on what we personally expect out of a great Venice hostel. Clean rooms, comfortable dorm beds with power outlets, secure luggage storage, friendly atmosphere that encourages interaction (but doesn’t force it), and a communal kitchen are all super important aspects of Venice hostels in our eyes, and we prioritize them when suggesting a place to stay. All of these are factors when it comes to making our selection of the best hostels in Venice. Have a look and feel free to tell us your thoughts on our choices! As always, safe travels and see you guys on the road! If you’re searching for a hostel in Venice, it’s certain that Generator is one of the first to pop up. Consistently praised for its prime location, clean and modern facilities, and excellent friendly staff – Generator is undoubtedly one of the best hostels in Venice. Located on the island of Giudecca, this Venice hostel enjoys views across the lagoon of the Piazza San Marco, which is just a 10 minute boat ride away. The location allows easy access to the centre of Venice, and connections to the 100+ other islands of Venice to discover. Venice isn’t a city renowned for its thrilling nightlife, as most of the locals live outside the city. Generator hostels worldwide are loved for their youthful and lively atmospheres. Guests love is the fact that it has an on site bar, providing a space for you to socialise with other guests and sip some delicious (affordable) Italian wines while the rest of the city sleeps. Generator offers a variety of dorm and private rooms at affordable prices, all equipped with security lockers and air conditioning to make the stifling, Italian summer heat somewhat bearable. A delicious breakfast is offered for a reasonable price, and includes vegetarian, vegan and gluten free options! 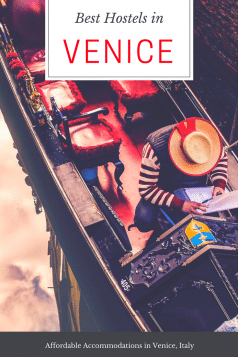 This great Venice hostel provides a 24/7 reception service, an on site restaurant (specializing in pizza), and comfortable lounge areas where you can play pool or sink into an armchair with a good book. After you’ve spent the day losing yourselves in Venice’s maze of canals and backstreets, head back to Generator and watch over the lagoon as the sun sets over on the city. Generator Venice combines high standards and an exceptional atmosphere with affordability, making it one of our top picks for the best hostels in Venice. 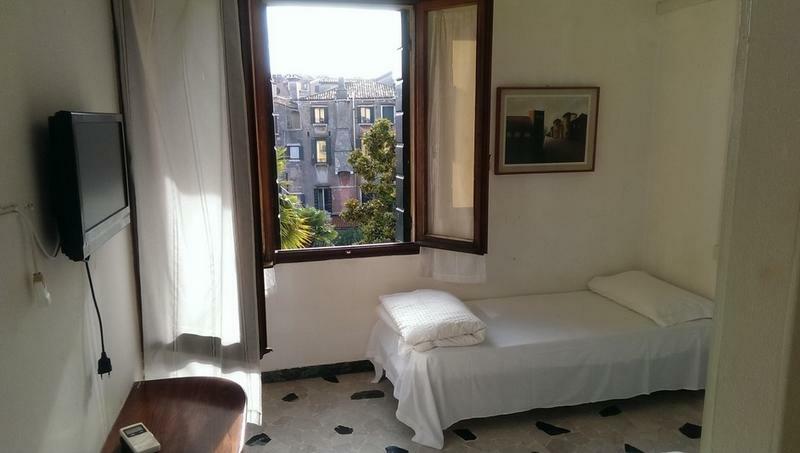 Located on the main island of Venice, this charming hostel is within walking distance to Piazza San Marco, Peggy Guggenheim’s Collection, and Santa Lucia Train Station. 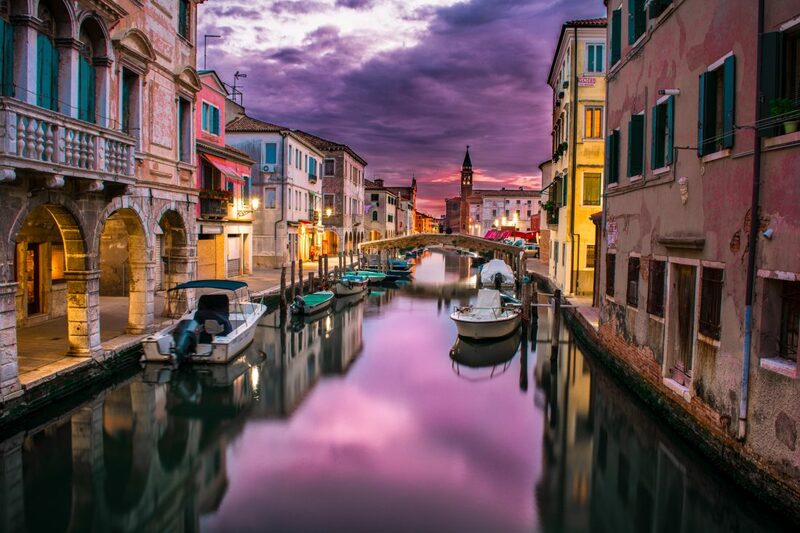 Situated in a quiet neighborhood overlooking the Giudecca Canal, Silk Road is well-connected to the rest of Venice by bus and water boat services, which makes exploring the 100+ islands on offer somewhat more plausible! The Dorsoduro area of Venice is the perfect spot for visitors interested in culture and art, close to many of Venice’s galleries and museums. 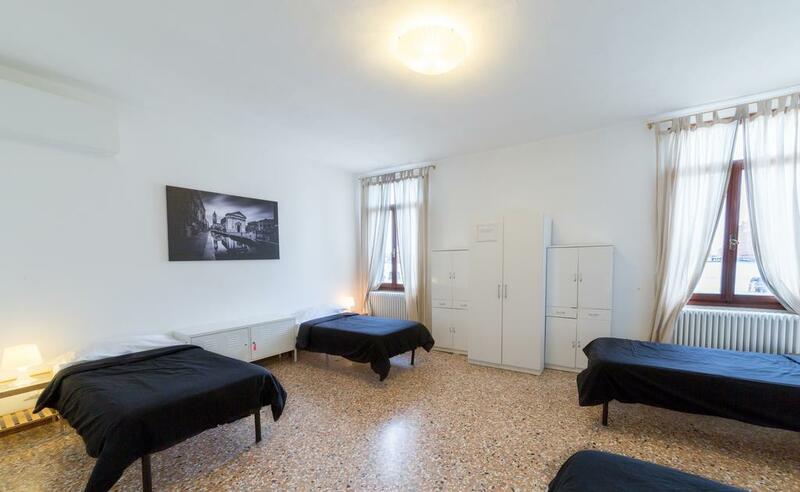 Offering mixed and female only dorms, as well as privates, the rooms at this Venice hostel are comfortable and well ventilated, with great views over the canals. Rooms are spacious, with lots of storage space and secure locker facilities. Guests love the free breakfast! If you feel like preparing your own food to save a few euros, there’s a shared kitchen for guests to use as well. Staff are super informative, and they really try to get to know their guests, which creates a friendly and sociable environment in this cosy Venice hostel. Highly rated for its friendly and informative staff, cleanliness and value for money, there’s no reason to question why Silk Road is one of the best hostels in Venice. We_Crociferi’s unique setting, accommodating staff and pet friendly policies are what makes it one of the best hostels in Venice. 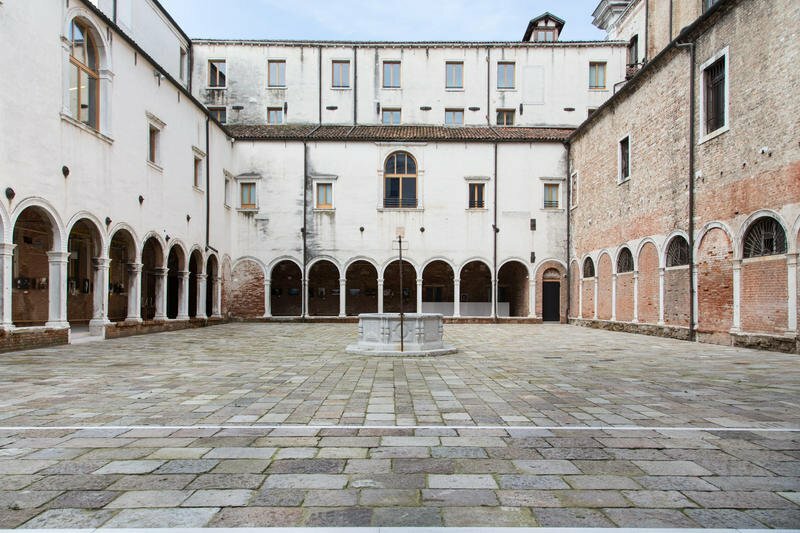 Set in a beautiful, ancient monastery, dating all the way back to the 12th century, this renovated hostel provides you with everything you need during your stay in Venice. There’s a restaurant, lounge area and even a library/book exchange on site! Despite its ancient setting the interior of this Venice hostel is nothing but modern. We_Crociferi offers dorm rooms, privates and whole apartments, all for a very affordable price. Minimal and simplistic decoration gives an airy, spacious feel to rooms. Air-conditioning will make your stay much more pleasant during the summer months, and a 24/7 reception means you don’t have to worry about coming home late. There’s an onsite bar as well enhancing the social atmosphere of this Venice hostel which provides a place to chill out with a cold beer after a long, arduous day of exploring this beautiful city. Located in the Cannaregio region of the city, We_Croiferi is only 0.6km from Piazza San Marco and is well connected with bus and boat routes to take you all over Venice. 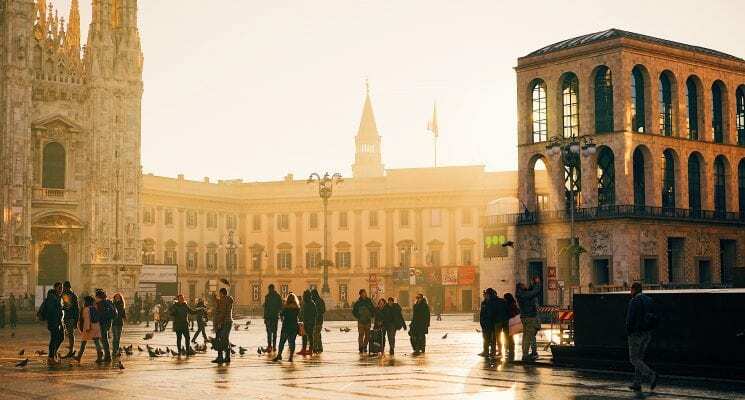 Surrounded by bars and restaurants, and close to the nightlife area of Venice, it boasts the perfect location for exploring the city on foot. Guests particularly rate this Venice hostel for the informative and approachable staff, as well as the cleanliness and unique, authentic feel of the building. We definitely recommend We_Crociferi as one of the best hostels in Venice! If you fancy expanding your accommodation horizons, why not opt for a Venetian camping experience at Camping Rialto? 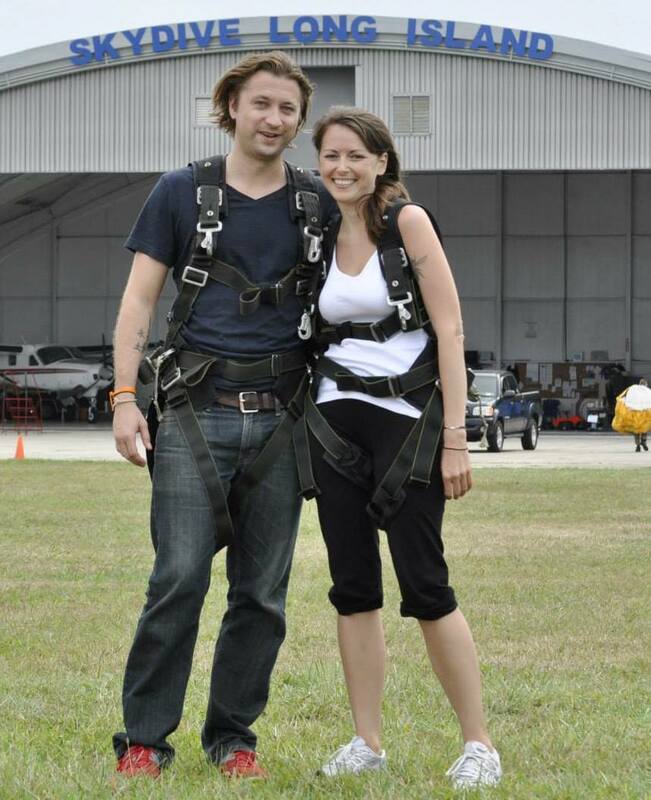 Avoid the hustle and bustle of this touristic city, and try a different “hostel” experience. 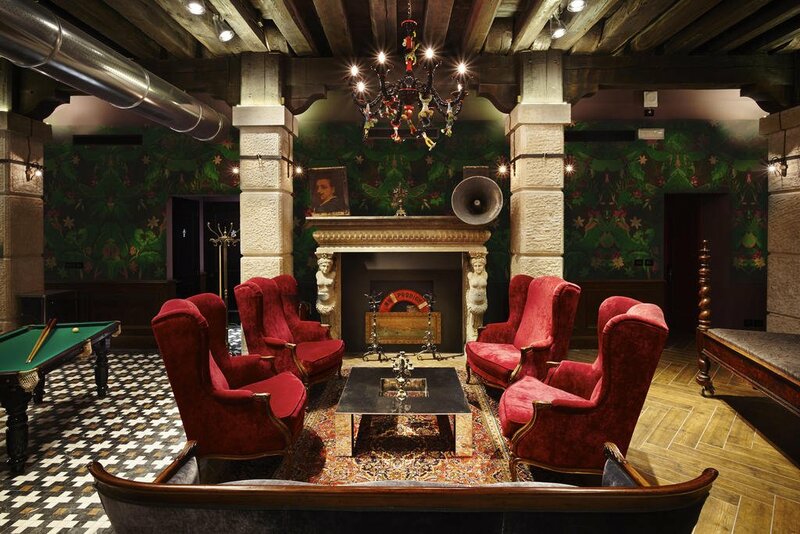 One that, we feel, still deserves a spot on our list of the best hostels in Venice! Various options are available from “glamping” bungalows to mini-chalets, or just the good-old fashioned tent – you’re free to choose your own standard of luxury. But don’t worry, even the normal tents have comfortable mattresses, so you won’t wake up with a bad back. Clean shared bathrooms with hot showers are looked after daily. Don’t worry, this isn’t your typical camping ground. A bus to Venice leaves from just outside the campsite, and the journey only takes 10 minutes! There’s an onsite pizzeria and cafe, so you can enjoy a fresh cup of coffee every morning. 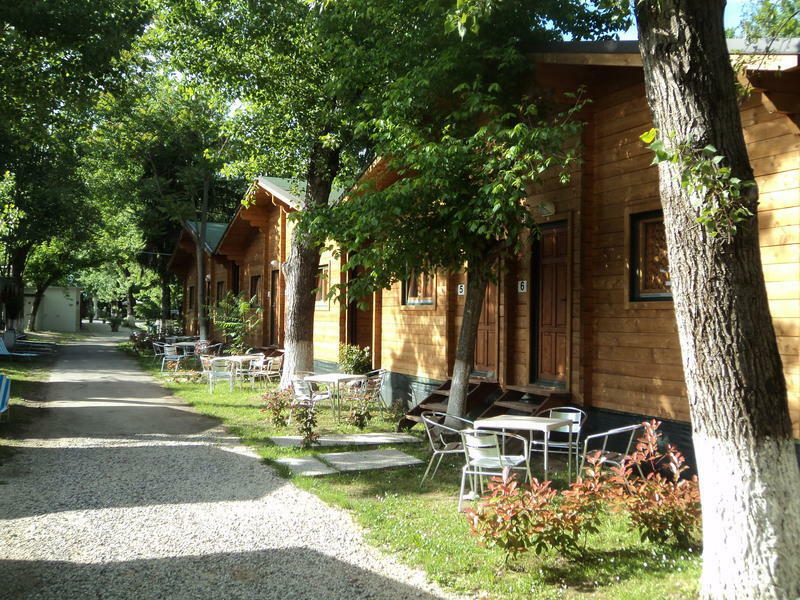 Wi-Fi works throughout the camping area, and on-site parking is available. Despite being a camping site, Camping Rialto doesn’t lose points for atmosphere. This Venice hostel encourages a social atmosphere where guests from around the world can swap stories and build friendships. They even put on live music events during the summer, wine tasting experiences, and a variety of boat excursions which are available for booking through the staff. So, if you’re a fan of the great outdoors (but still like your city comforts), why not give Camping Rialto a try? It’s fun, social, and truly a unique Venice hostel experience a mere 10 minute bus ride from the centre of Venice. Offering private and dorm rooms for 3 people, this charming bed and breakfast is located in the right in the centre of Venice. Just 2 minutes away from the Grande Canal, and 10 to Campo Santa Margherita, one of Venice’s most lively squares, it’s no wonder this is one of the best hostels in Venice for its location! Despite being situated in an area near the main train and bus stations of Venice, Dimora Il Veliero Romantico remains a peaceful location, with many reviews focusing on the relaxing atmosphere that the hostel provides. Close to shops, bacaros (traditional Venetian bars), and numerous restaurants serving mouth-watering Italian cuisine – everything you need is within walking distance! Rooms are cosy and clean, which gives this Venice hostel a quaint, luxurious hotel feel without the added price tag. Guests can enjoy the outdoor terrace, and make use of security lockers and free wi-fi throughout the building. Staff at this Venice hostel are praised for their warm, welcoming natures, and are always willing to offer tips and tricks about how to navigate this bustling city. If you’re looking for a romantic getaway, or just a place to kick back, relax and find some solitude, then this place should be on your list of the best hostels in Venice! AWA Venice Apartments San Marco steals the last place on our list of the best hostels in Venice. Providing dorm beds in apartments of up to 8 people, each apartment comes fully equipped with a kitchenette, air-con, TVs, and wi-fi. Located near downtown Venice, the apartments are only a few minutes from Piazza San Marco. We highly recommend these affordable apartments if you’re looking for somewhere quiet and comfortable, without compromising a central location. The staff are extremely friendly and helpful, and are always willing to provide their tips and tricks for exploring Venice like a local. 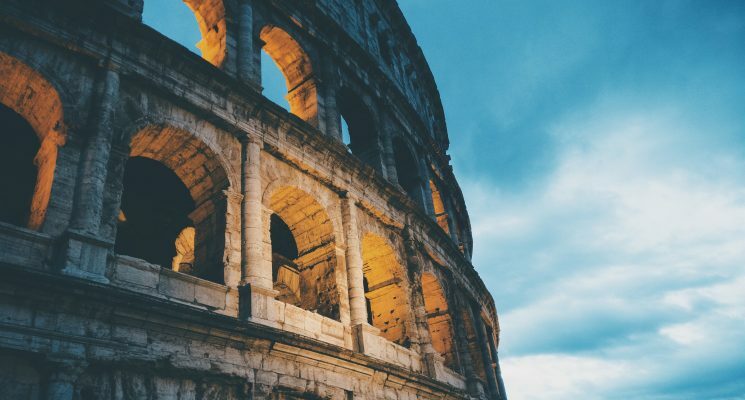 They offer free maps and tour information, and are always happy to provide recommendations for the best restaurants and bars to sample the Italian cuisine. There’s a roof terrace at this this Venice hostel providing stunning views over the city, where you can catch the last rays of sun or chat to your fellow guests. If you’re seeking a hostel with clean, comfortable rooms and friendly staff who can help you to get the most out of your stay in Venice – then look no further than AWA Venice Apartments San Marco! Very cool snap . interesting article to read . thanks for sharing.